After sending your products to Amazon FBA, do you cross-check if the right quantity is being received and the whole stock has been put on for sale? If No, you are about to get a lifetime shocker. If yes, then well and good, read further to get a clear picture. If you aren’t keeping up with the missed products and think that Amazon would notify you on that issue, let me inform you that Amazon doesn’t always disclose when any of your products go missing or is damaged. Or even when it does, it would do in a very convoluted way. Half the Amazon sellers won’t even understand such complex reports. Before you open up your Amazon account and check the status of your inventory, please read further to know how I got my reimbursements from Amazon with a similar case. – Orders where the customer has been refunded but you have not received the product back in stock. – Products lost or damaged while being received at FBA fulfillment centers. What number of my Amazon products were facing the discrepancy? Below is my Amazon report of 4 SKU’s where the data has been provided for product discrepancies and how much amount I was supposed to claim from the marketplace. – For SKU, ABC-001, I had sent a quantity of 20 wherein 16 were sold, and 2 were lost in transit and the other 2 were damaged in the warehouse. So, I requested a refund for 4 of these products. – For SKU JIL-002, I had sent a quantity of 30 and FBA received 26, later they were able to find remaining 2. However, the remaining 2 units were lost in the warehouse and a claim has been raised. – I had sent 50 units of SKU, MID-003, to the warehouse. Here they could receive only 40 units. Later they were able to find 4 and remaining 6 were lost for which claim has been provided from Amazon. Also, with 9 units being received from customers, 5 seemed to be damaged in transit and amount has been claimed for the same. – For my last SKU, QYP-004, I had sent 30 quantities from which, 20 were sold and the remaining 4 were lost and 6 were damaged. Before I proceed further, it is very important for you to know that even though Amazon claims a refund for our lost and damaged product, it is a loss for sellers like me. This is because, when we sell to customers, they purchase at the rate what we sell them at. Whereas, sellers receive their refunds with much lower than their actual market value. For eg, The MID-003 product, I sell it to customers at a rate of 575$, whereas Amazon refunds me at a rate of 500$. Experiencing a loss of 75$ on one product is huge. How to keep a check on your Amazon FBA Shipments? 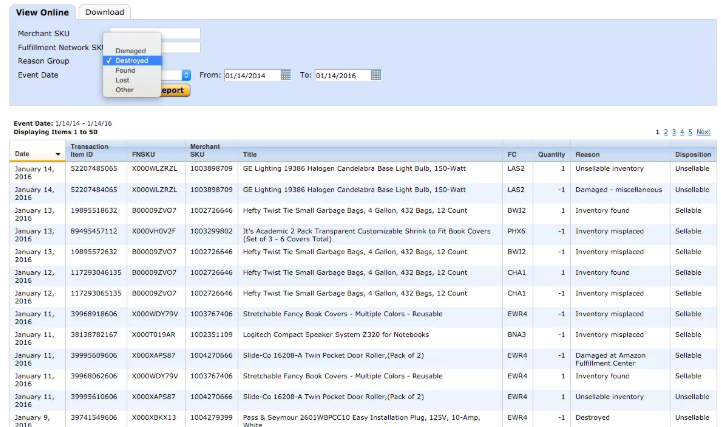 From your seller central account, go to manage FBA shipments from inventory. 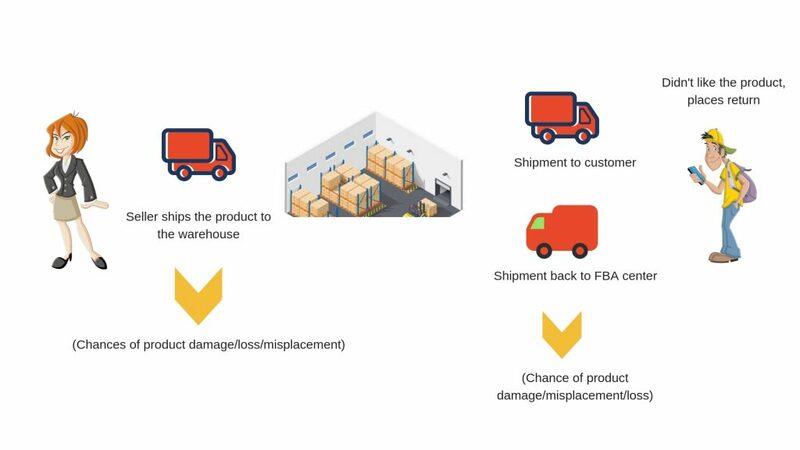 While you go deeper to shipment plans through manage FBA shipments section under inventory, you will receive how many units were sent and, how many were received at the fulfillment center. If the count in discrepancy shows positive number, you need to request the warehouse to research it. If the count is negative, then you choose units not shipped or missing. When we ask Amazon for research, they either research and find the item and add it in our stock, or if they don’t find, we get reimbursement for our missing product. –	After the products are received by Amazon, you need to check if the products have been put on sale or are reserved. –	Check your reserved inventory reports from, Reports > Fulfillment > Reserved Inventory. It is necessary to reconcile your Amazon and Amazon FBA shipments at every 45 Days. Amazon asks for a proof of purchase if you request for reconciliation after 60 Days (unless it is a high dollar item). 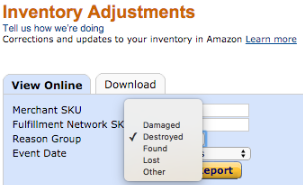 If Amazon is not able to locate your item after placing reconciliation request, they will refund the product amount. How was I able to reclaim my lost inventory? To resolve my above-discussed issue, it is necessary to audit Amazon at the end of every month and open cases for all the noted discrepancies. After the closure of every case, and receiving an e-mail notification, we need to verify if the reimbursement actually got applied in Payments. Here are some reports we can check from our seller account under the ‘Reports’ Tab. These reports can be pulled from your seller profile. Path: Seller Central – > Reports – > Fulfillment, find Inventory Adjustments on the left-hand side and Select Reason Group for a date range. Ones you select a reason and date range, you get the report. Copy and paste this report on a spreadsheet and sort it by FNSKU. Delete the lines with “Damaged at Amazon” and “transfer to holding” reason as Amazon has already applied these reimbursements. Save your file in .csv format with a valid reason group. Visit help -> contact us page and raise an FBA issue with the attachment. After the issue is submitted, Amazon gets back to you within 12 hours and will reimburse the amount within 5 to 10 business days. Reports -> Payments -> Transaction View -> Filter View by “Other” and adjust date period to preferred dates. Check for “FBA Inventory Reimbursement” under product details. Now that you know how to raise reimbursement requests from Amazon, you should make it a part of your daily work routine and keep your inventory list clean of damaged/lost items. To perform this task in a much easier way, connect to EasyEcom team by clicking here.